Man U on shopping spree. Looks like Man U are desperate and are on shopping spree this season. Vidal, Falcao, Mouthinho are theirs targets for last day transfer window. Sorry Falcao, you gotta keep dreaming before it comes true, Man U is yours next stop and not Real. Damn, Man U did really snapped Falcao from Real. Done Deal! What a joke of a club they become. Those English clubs owned by all that dirty money, will loose their fan base year after year, just to become all-sale products for Asian consumers. Long Term what a lack of vision the move to private ownership was! So sad for all those hard time fan's of MUFC. ↑ lol. Big teams need to spend big money to become great. A great club is not a big club. Does it really matter to have 50's million people on your facebook page? I'm quite happy that some of the fans moved on and started another club. No wonder Falcao went to Man U. His salary gonna be 580.000US/week and become Premier League best paid player in Premier League history! Man U is really desperate for success. Think his tweet are about, that his dream came true, that he became most well paid soccer player in history. Last edited by addic3t; 09-01-14 at 04:09 PM. Man U has become an absolute train wreck of a FC. I do respect their history and accomplishments, but this is total desperation. Much like the Yankees of a couple years ago when they signed all the steroid free agents and now they're paying for it. You do realize Liverpool spent around 120 mil this summer right? 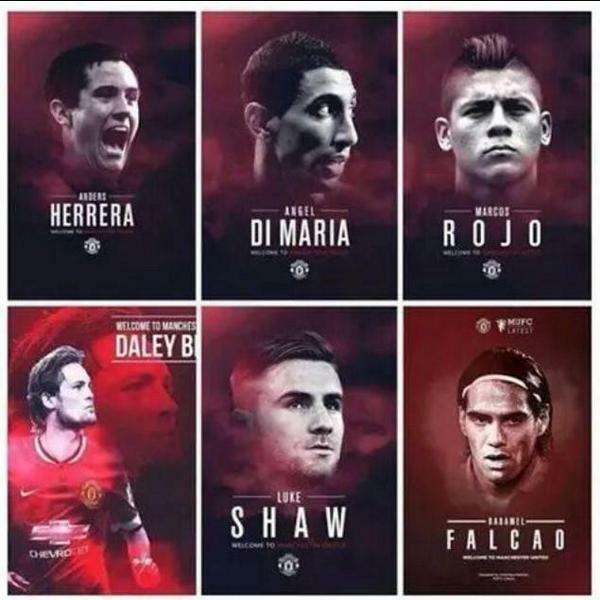 And they bought more players than United..
Man U spended €207m on transfers and total -€161.9m this transfer window. Liverpool spended €168.6m on signings and total -€65m. United are able to spend big cause they make big. There is debt on the books, but profits are soaring. 2013 gross profit £146 projected to be £430 for 2014. They have the most lucrative kit sponsorship deals in football with Adidas and Chevy and are arguably the most supported club world wide. We should have bought a heroic CB defender, but LvG is going for it. Kurasik89 gave RubberKettle 2 Betpoint(s) for this post. Blind will become our defensive hero. And I don't mind watching a few 5-4 type games.. Blind is a good signing. His mind is very sharp and he reads the game similar to players like Xavi, Xabi Alonso, but with the tools of say Lahm. He is not a good as these players yet, but well on his way. He can be a very very good player at United, playing multiple positions will keep him on the field too. ...and are arguably the most supported club world wide. A Kid that buys a T-shirt on a HK shop or online doesn't make him a die hard fan of MUFC, not even a fan. Just what it is, a kid that bought a T-shirt from a club. MUFC nowadays is just a marketing machine loosing the die hard fans they once had on a daily basis. So no wonder some of them moved on. And what top clubs are not? When you have the likes of Chelsea, Man City, Real Madrid, PSG, Barcelona buying endless mercenaries, there is no chance you can beat them without spending big money. Unless you want to be an Arsenal and keep finishing 3rd-4th and never going deep in the CL. The REAL die-hard fans know despite of the club seeming like a marketing tool, their philosophy and standards will remain intact. They never buy dirty players and when is the last time you've seen a United player involved in a Balotelli-like scandal? And with Giggs staying around in coaching and management, the club with never lose it's class.